Inkscape changed the bug tracking system from SourceForge to Launchpad: I don't feel compelled to create an account at the closed system from Ubuntu only to be able to make a bug report and occasionally some triaging (I used to do that on sf.net), so for the time being I will step back and become a simple user. This is somewhat unfortunate, there are bugs that bother me a lot: the autopackaged nightly builds don't work on Fedora since F8 was released due to bad dependency requirements and reporting on the mailing list seems not enough (for those wondering, this is the reason I didn't published any Inkscape tutorial lately: I want but I objectively can't, the stable version has an obsolete GUI, is OK for own usage but not for public tutorials). 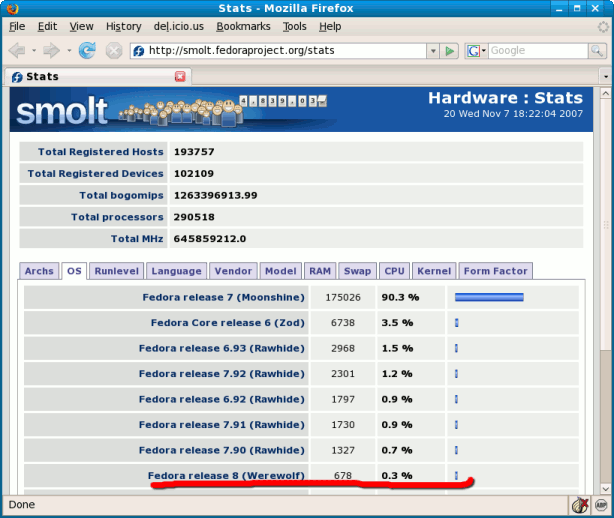 Has everyone read the new interview about IcedTea and Free Java in Fedora 8? Update: as Hans points out in the comments, the game was already packaged for Fedora (my mistake was to look only at the games spin live DVD). 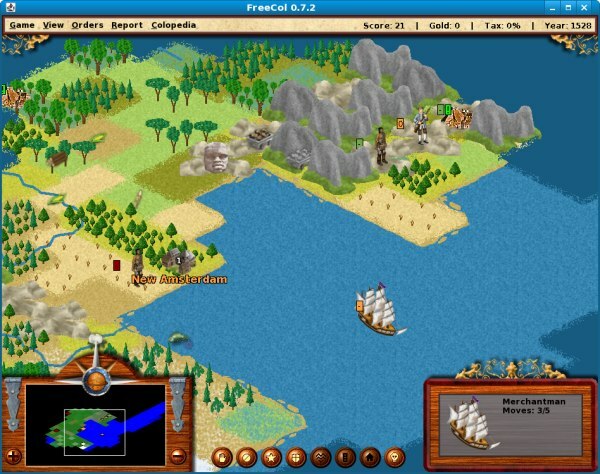 Here is my anecdotal experience with it: being bored, I was looking at a list of Free games when I noticed FreeCol, a game based on the old Colonization, the screenshots were nice but the game written in Java. So my curiosity exploded: does it work in Fedora with IcedTea? Yes, it worked very well, see the screenshot below (so the next step was to add it to our games whishlist. 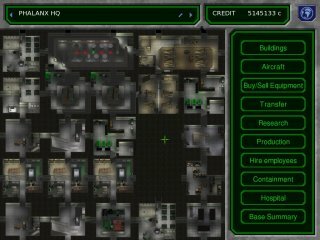 I have strong feelings about this game, so I'll start by stating my bias: I was introduced to the X-COM series with UFO2 X-COM: Terror from the Deep, which I liked a lot and played for years. After that, I tried X-COM: Apocalypse and not liked it enough: it was too complicated, too hard and had too brighter graphics (which have not helped with the mood). 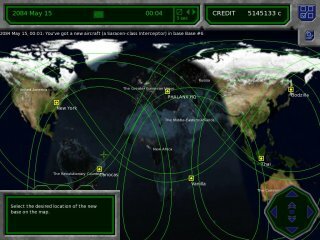 Only after that I discovered X-COM: UFO Defense (A.K.A. 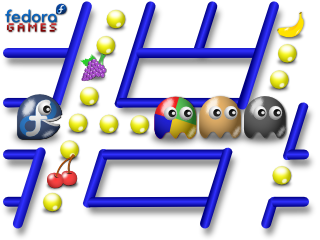 : UFO: Enemy Unkonwn), the first game of the series, which was about the same as TFTD but smaller and uglier. 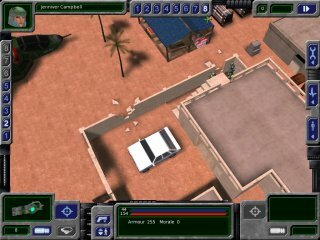 Later I tried the demos of a two spin-offs, X-COM: Interceptor and X-COM: Enforcer and did not liked them: they were different kind of games. 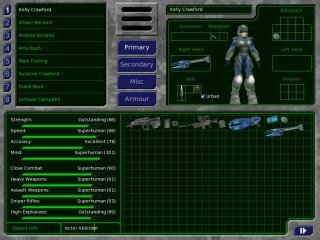 Enter Open Source clones: I found UFO2000, a Free implementation (with multiplayer!) of the battlescape portion of UFO1 but nothing more and UFO: Alien Invasion about which I will talk in depth. 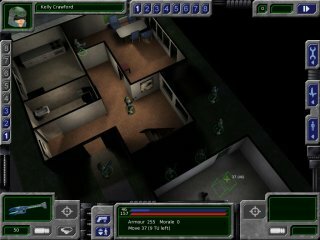 The franchise was revived with UFO: Aftermath, a games I skipped without even looking at a demo, based on reviews with its two sequels: UFO: Aftershock and UFO: Afterlight. Now back at UFO: Alien Invasion. 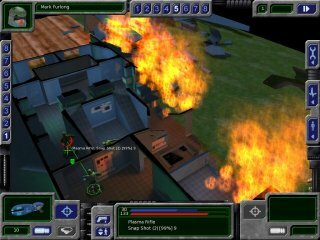 It uses a heavily modified Quake II engine and despite this it manages to re-capture the feeling of the classic UFO: Enemy Unkonwn. 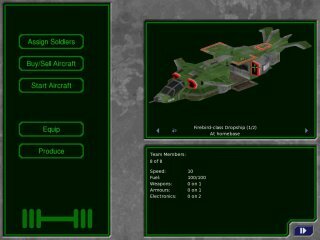 My first encounter with the game was years ago, when I saw a small preview, containing (IIRC) only a single battlescape area, with fixed team, no inventory management, no bases, no geoscape, no strategy. 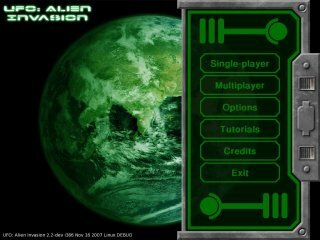 I keept in my mind and checked the progress from time to time, in 2004 the project had the so-called "x-mas release", another tech demo. I was so disappointed by its status that I totally lost my confidence in the project and completely forgot about it for a long time. A few days ago I got a reminder about the game and went to the website and noticed the release number, 2.1.1, which gave me hope. Also, the screenshots look cool. Do I downloaded the binary installer (the game is not yet packaged in Fedora, but is on the whishlist and the Loki installer is working). But the conclusion is not very optimistic: I played it for a few days already, but the games does not appear winnable. 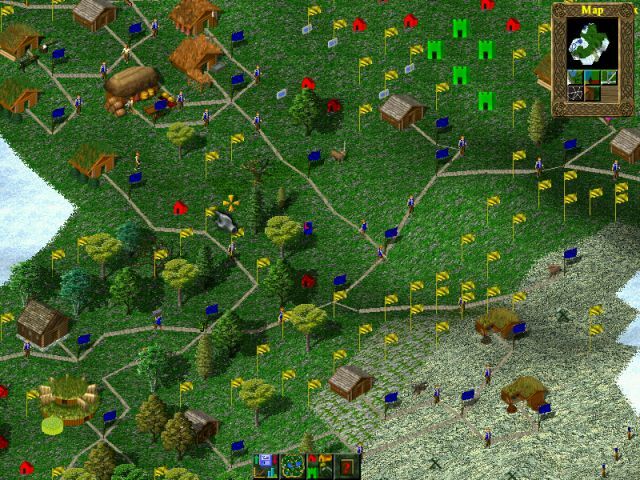 It is so complete in some areas that it hurts, it could be the best Linux game I ever saw. The hopes? According to the TODO, the developers evaluate even an engine change, so fat chance to ever see the game in a "complete" stage. Naturally, I tried the Fedora Games Live DVD (is easier than downloading all your games to your Fedora desktop, try them and remove) and one of the few I could see me playing is Widelands. 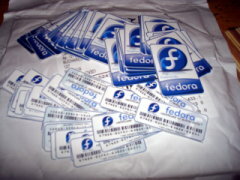 As announced we held yesterday a Fedora release party, celebrating the F8 release and the launch of a forum hosted by the Romanian Fedora users community. 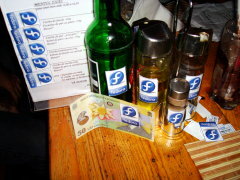 A bunch of Fedora users gathered, we had some Debian and BSD friends, spent a good time with good talks, beers and cool stuff (free stickers as a give away). Enjoy a lot more photos from ajoian and wolfy. Of course, the about the same amount of hours (plus one hour) until the Romanian release party! 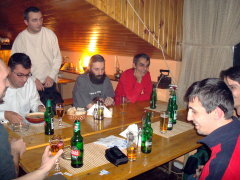 Folosind lansarea Fedora 8 drept scuza, comunitatea utilizatorilor Fedora din Romania organizeaza citeva evenimente: deschiderea unui forum si un release party. Pentru cei care doresc sa participe la party, acesta va avea loc joi 8 noiembrie incepind de la orele 18-19, ultimele amanunte sint in curs de finalizare in cadrul unei discutii deschise in proaspatul nostru forum. 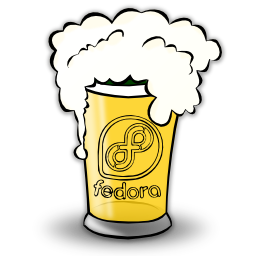 Using the Fedora 8 release as an excuse, the Romanian Fedora din users community have a few events: the launch of a forum and a release party. 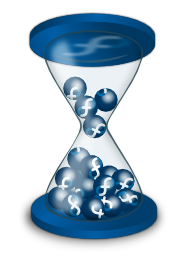 If you want to come to the party, it will start Thursday 8 November around 18-19, the last details are still not finalized stay, read more in an open thread from our fresh forum. 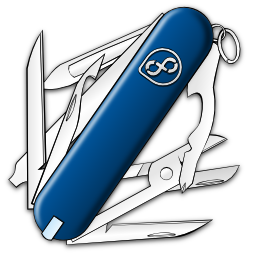 Simple enough: a great distro is like a Swiss Army Knife and the various spins like its tools: good for specific needs. I have an additional idea for this image: a different and cooler looking perspective but that is harder to draw and it does not cry as loud as the basic idea (and I still have some thing in the queue). note: I know I could spend more time and make the metal have a more realistic look, but I do not shoot for extremely realistic images. Sunday night I was killing some time in front of the TV and between a crazy anime (NDB) and a Seinfeld re-run I stopped for a few minutes on a local station looking at a contest-show "Te crezi mai destept" ("Do you think you are smarter"). There some adults are asked question from the primary school for a money prize and when they fail to answer have to declare "I am not smarter than a 5-th grader". Here is a women, she choose "Informatics" as a domain and receive the question "How is called the trash can on your computer's desktop" (in Romanian, "cosul de gunoi"). At this point my reaction was to imagine what would happen if I was asked the same question. I know the expected answer, and the only winning option, would be "Recycle Bin" (in English). But I am a GNOME user, and for me the real answer is Trash. So what I would do? Certainly, I would not overcome my geekiness and lecture them about how not all the computers run Windows, how the trash can may have various names, how my own is not called Recycle Bin and how I know their wanted answer but they are stupid. And how about the DVD cover? 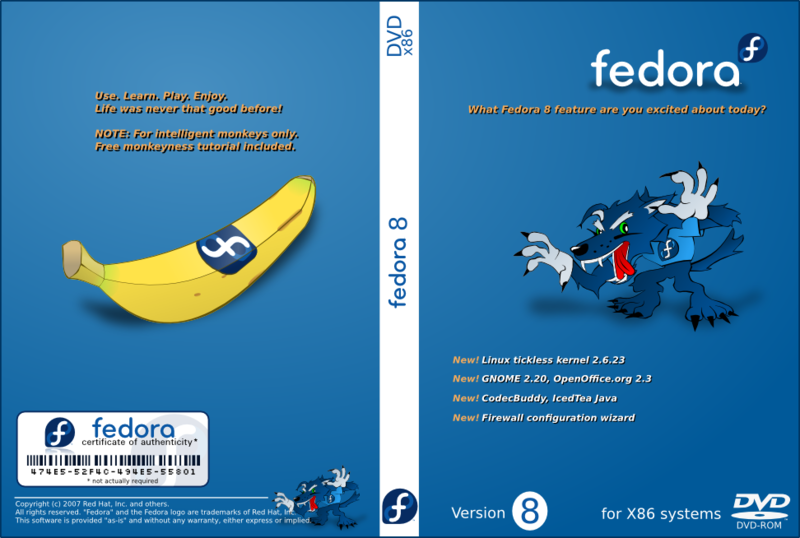 Over and over I talked lately about Fedora CD/DVD labels and envelopes and I received a lot of positive feedback and praises (both directly as blog comments and via email). So what people think about this? Are the classic DVD cases out of fashion? Do we need or want them? I can see some of their strong points: such a case is good for shipping and it provide additional value, you see the DVD a lot more as a tangible object but I also see the other face of the coin: they cost a bit more compare with a simple paper envelope and, most important, take a lot more space. Also the DVD cover is large and it provides a lot of space for marketing slogans, an outline of the most important features, even for screenshots. note: the SVGs will not look correctly with the crappy Firefox 2.0.x (it does not show blur or masks) so to get the idea use Inkscape of a Firefox 4 pre-release.